Jodi Picoult has been one of my favourite authors. I know that a lot of my friends don’t like her writing as much, but for me, there is something about her writing that works. The topics she picks up and the way she handles it, all work for me. Ruth Jefferson is a single mother to her teenage son, Edison. Her husband died in Afghanistan and she has worked hard all her life, as a labour and delivery nurse to ensure a better life for her son. She has always refused to succumb to racial stereotypes and has always believed that her colour will never come in the way of her success professionally. One day, at work, while conducting a regular check up of a newborn, she is met with an irate father and the next thing she knows is that she is taken off the case. The notes for the child has a ‘request’ that no African-American is allowed to take care of the child. The parents are White supremacists. While Ruth accepts the direction her manager gives her, she is later put into a position where is feels bound by her manager’s orders while knowing that her nurses’ duty directs her in another direction. Unfortunately the baby dies, and Ruth’s professional conduct is in question. She now has to prove in court that she didn’t do anything wrong, that she was not responsible for the death of the baby. Everything Ruth held dear and took for granted is shaken. People she thought were her friends, her employers who she always assumed would take care of.. Her beliefs shaken. It takes a toll on her and even more importantly her son. Ruth’s case is fought by Kennedy, the public defender assigned to her case. For Kennedy, this case is an eye opener of the sort she had never expected. She is forced to see the inherent inequality that exists everywhere in society, and had been invisible to her all these years. It just took a trip to the mall with Ruth for Kennedy to come face to face with the discrimination and inequality that existed within society. The narrative is from three perspectives, Ruth, Kennedy and Turk, the father of the child. Each person’s story adds a dimension, there are no black and whites. As the story progresses, it shows how the experience has changed all the protagonists. Not just the main protagonists. It was heart=breaking to read how Edison was impacted by all of this. Taught all his life by his mother that his colour is just incidental, Edison is now questioning it. He starts to wonder if his cousins are better off living the stereotypical lives expected of them, rather than be the straight A student that he is. What is the point of living a sham of a life, when at the end of it, everything seems to boil down to the colour of your skin. This was a beautiful book. Like all of Picoult’s books, one that made me think, made me cry and made me a more aware, and hopefully a better person for having read it. It reinforces how easy it is for people with privileges to not even realise that the society is rife with inequalities. It is books like these that will actually make people think, make people introspect. It might not be a colour based inequality, but all societies by nature tend to be inequal and unjust. A 5/5 book for me. One that I would recommend to everyone. I think this will stay with me for a while, and will be one of my favourite Picoult books. Thank you Netgalley and the publishers for the review copy of this book. 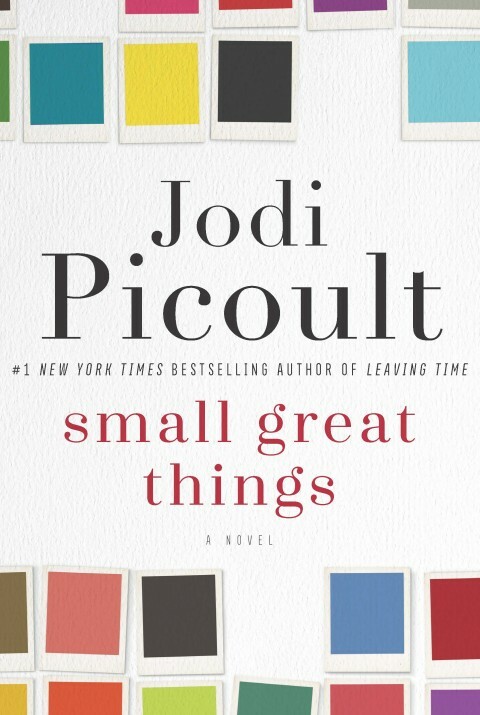 Jodi Picoult is the author of twenty-three novels, including the #1 New York Times bestsellers Leaving Time, The Storyteller, Lone Wolf, Between the Lines, Sing You Home, House Rules, Handle with Care, Change of Heart, Nineteen Minutes, and My Sister’s Keeper. She lives in New Hampshire with her husband and three children.